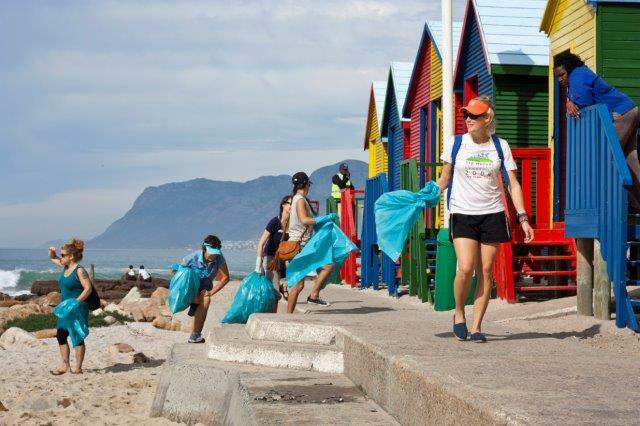 11 times South African freediving record holder, Hanli Prinsloo of the I Am Water Trust in collaboration with Salon 91 Contemporary Art Collection, organized a well-supported beach clean-up along the rocky shore from Kalk Bay to Muizenberg on Sunday 14 April. 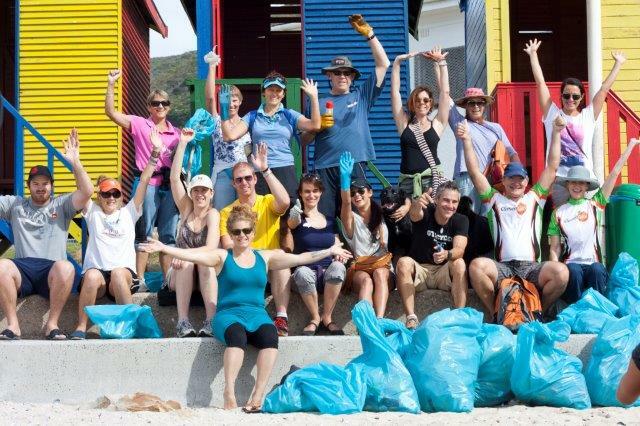 The I Am Water beach clean up which forms a part of the SAMSA SEA Pledge Saldanha to Sodwana Tour, not only made that stretch of coastline more appealing to the people that live there, but also saved the lives of countless fish, mammals and birds that call the ocean their home. The usual Sunday strollers expressed great appreciation for the teams efforts for removing the well-hidden and lodged rubbish which was stuck between the rocks. Joining in the clean-up were also representatives from the Sustainable Seas Trust (SST), an Eastern Cape based charity that along with the South African Maritime Safety Authority (SAMSA) are currently on the SAMSA SEA Pledge Saldanha to Sodwana Tour. For four weeks the team will be touring South Africa’s coast line and spreading the word of coastal conservation to everyone from young school children to the various mayors and dignitaries along the way. Supported by Hanli and the I Am Water trust, the SST will be holding various educational beach activities for children and adults of all ages to partake in at 15 stops along our coastline. Members of the public are encouraged to join in and make their very own SEAPledge, a written or verbal promise about how they plan on making a difference to our oceans – even committing to arrange one of their own beach clean ups. “We need to pick up all this plastic or else the sea creatures will eat it and die,” explained seven year old Miles Dickering as he bagged another discarded plastic water bottle. A perfectly accurate statement, as more than 100 000 marine creatures a year are found dead due to plastic entanglement. Aside from this, approximately one million sea birds fall victim to ingesting plastic. 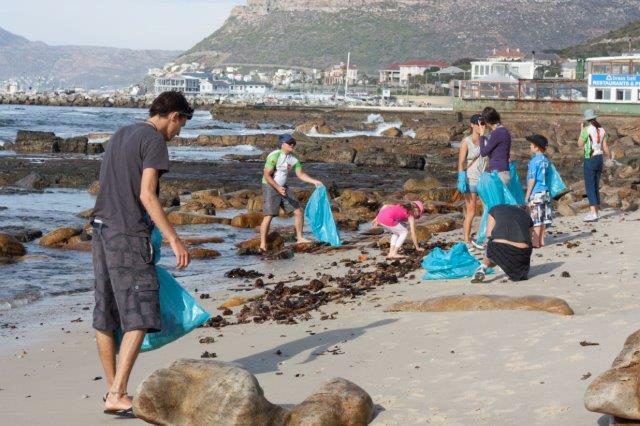 “We would like to thank the City of Cape Town and Solid Waste Management for their support supplying the large blue rubbish bags and for removing over 50 bags of rubbish collected off the rocks by our team,” commented Prinsloo. I Am Water, SST and Salon 91 all share the same vision of wanting protected and cared for coastlines and oceans. The simple act of picking up a rogue plastic bag could mean the difference between life and death for a sea creature just metres away from you. Please visit www.iamwater.co.za to learn about the work done by Hanli and her team and www.sst.org.za to learn more about the coastal tour.